Gamers work well in teams. We've slaughtered zombies, repelled rebels, routed RED (or BLU)—all with the help of our friends. Now we get to rob banks. 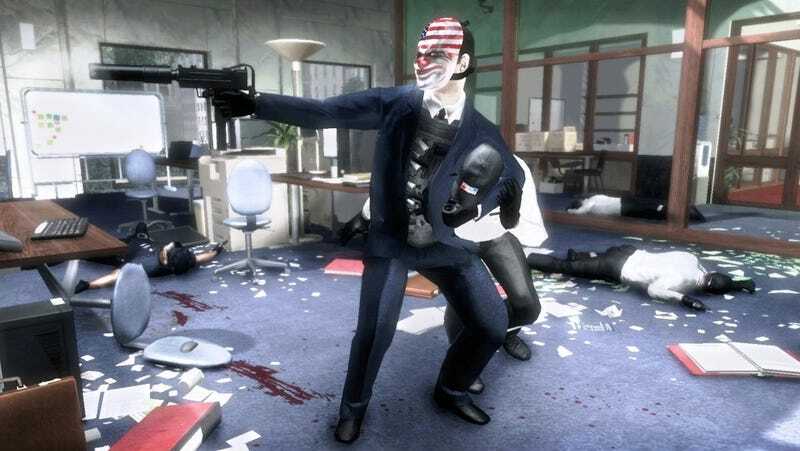 In a bit of pre-E3 flirtation, Sony Online Entertainment has announced Payday: The Heist for the PS3 and PC, a squad-based cooperative shooter that casts players in the role of a "hardened career criminal" attempting to orchestrate a number of dicey, large-scale heists. Developer Overkill Software promises prospective gamers the chance to raid a bank vault, manage hostages in a hijacked armored car, and infliltrate a top-secret, high-security facility. The mission structure appears reminiscent of Valve's Left 4 Dead; law enforcement agents—rather than zombies—will spawn in waves, their deployment and behavior patterns guided by a "dynamic" and "adaptive" scripting system. SOE's press release describes "FBI agents repelling down on ropes through the skylights, SWAT teams crashing through the windows...special units crawling through the ventilation shafts," and emphasizes the importantance of cooperative teamwork in repelling foes. Players will be encouraged to revisit missions in order to develop their character along a "massive progression tree," and will be given the option to select one of three specialties: assault, sharp-shooting or support. Payday: The Heist is due to launch later this year on the PlayStation Network and PC via digital download, and, according to Sony, will run for "less than half the price of a retail game." We've been told that we'll get a taste of the game at SOE's booth at E3— we'll try to keep you posted on the how the title shapes up.